Here we are at Western River Expedition's Moab Adventure Center in Moab, Utah only 4 hours South East of Salt Lake City. Moab, Utah beckons visitors from around the globe and for a good reason. Nestled in between Arches National Park and Canyonlands National Park and the La Sal mountains Moab is a world renown adventure destination. To help you get the most out of your visit to Moab we put together a list of 10 must-do adventures. Western's Adventure Center is your hub to it all. In Moab, driving a Jeep is a sort of like a right of passage. Canyonlands Jeep Adventures gives you the ability to explore your surroundings. A trip to Moab wouldn’t be complete without a scenic horseback ride to experience the sights and sounds of the west. One of the highlights of visiting Moab, Utah is the mighty Colorado River. The best way to see it, by far, is from the water. If you’re looking for a relaxing and formative journey, then a Jetboat is the only way to go. Mountain biking in Moab is like no other place in the world. And that is why it is on our list of must-do things. Experienced guides can take you on all sorts of terrain, anything from beginner to advanced. You’re riding on a lot of sandstone area where it’s really grip tape like surface, it’s going to be very abrasive as we’re climbing up and down so really focus on body position. One of the best parts about visiting Moab is the unique landscape around the area. There is no better way to check it out than go down in it. I’ve got to tell you, it’s not as scary as it may look. Moab Adventure Center offers a perfect canyoneering introduction with two repels. One is 90 feet into a hidden kasm and the other is 120 feet off a giant rock arch. Just a short drive outside of Moab is Canyonlands National Park. Arguably one of the most beautiful places on earth. With over 330 thousand acres of picturesque landscape you don’t want to forget your camera. Right now we’re on our way into Arches National Park. There are over 2,000 natural sandstone arches here and that’s the largest concentration found anywhere in the world. The Moab Adventure Center offers two kinds of hikes; day hikes and sunset tours. And that is a fantastic way to see it for the first time because you can sit back and relax and enjoy the view while someone else does all the driving. The Fiery Furnace is one of the best hikes in Moab area, there is all kinds of diversity there, all kinds of things to do and see. It’s just a great hike. Now here is a little something you probably don’t do everyday at home. We’re going to explore a few places that only serious off-road machine like this can go. The Hummer Safari was just fabulous from the hills all the way up to the views, they were just unbelievable. This was just the best experience I’ve ever had. One of the most popular Moab adventure is, and an absolute must-do, is whitewater rafting the Colorado River. You start hitting the rapids and they’re like bam, bam, bam they’re right after eachother. Some of them are huge so it’s almost like you can’t even catch your breath but it’s fabulous for people who really want an adventurous rafting trip. Western’s Moab Adventure Center, with over 50 years of guiding experience, can give you a river adventure of a lifetime! Discover the untamed rapids Westwater Canyon, recognized as the best short water trip in the west! Experience more moderate whitewater on a half or full day trip just outside of Moab. This scenic float comes complete with a delicious riverside barbeque lunch at Redcliffs Lodge. There is no other way to experience the Southwest like going on an overnight rafting trip. Cataract Canyon is rated as one of the best rafting trips in America. You’ll travel 100 miles through Canyonlands National Park where picture perfect vistas are everywhere. The whitewater in Cataract Canyon rivals the big water of the Grand Canyon. When you’re out here, the right camping gear is essential, and Western provides almost everything you’ll need. From water resistant bags to comfortable cots to sleeping bags and sheets and even roomy tents Western has it all. You can relax while your guides do all the cooking! I can’t believe that we’re having this kind of food on the river, it’s just unbelievable. Full meals, three full meals everyday and snacks and good stuff. Stuff that you might not even fix yourself at home. Western also features a multi-day rafting trip down the Green River through Desolation Canyon. Ride some 60 fun filled rapids in an oar-boat or take a turn challenging the waves on an inflatable kayak. Hike to old hideouts and homesteads and discover ancient Freemont Indian writing. Each night you’ll relax to the calming sounds of the river. It’s awesome and sensational, I’ve never seen anything like it. It’s the most beautiful thing I’ve seen in 40 years. I’m really not a camper at heart, but I think I could become one doing this. I made so many new friends here, all the guides are really great. They’re good boatman and good cooks. Five-star service all the way around; great rapids, great company, great food - these guys really take care of us. The scenery is amazing, I have never seen anything like this coming from back east. This is like heaven. It was a dream of a lifetime really. It was the best vacation of my life. This outfitter was the best one to go with, I’ve had just an absolute ball. It’s been an awesome trip. Great time with friends, and I would come back any minute. No matter what adventure you choose, a vacation with Western River Expeditions is sure to enliven the soul and renew your spirit of adventure. 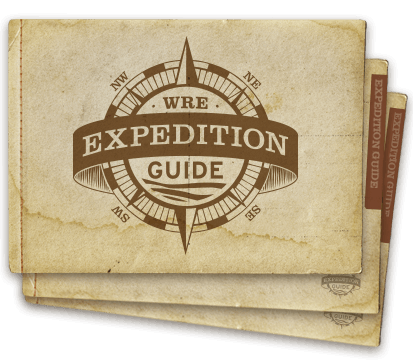 So, reserve your trip and see why some of the most incredible rafting vacations in the world are with Western River Expeditions. Nestled in between Arches National Park and Canyonlands National Park and the La Sal mountains Moab is a world renown adventure destination.